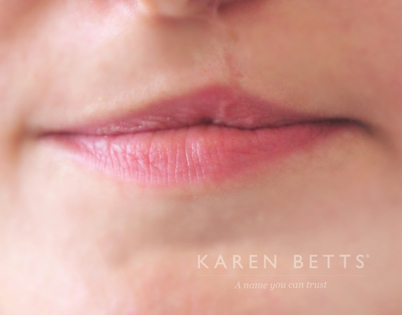 Karen and her Elite Team have years of experience and fully understand the implications of a cleft lip in terms of lack of symmetry to the facial area. 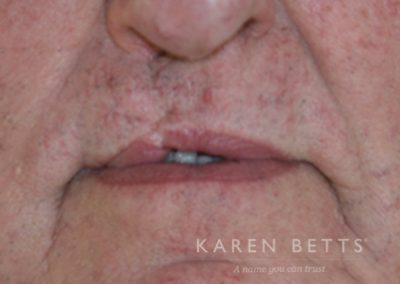 While the actual process for medical tattooing is similar to permanent cosmetics, the treatment stages, pigments and techniques will vary according to the severity of the cleft lip. What we will be trying to achieve will be entirely dependent on you. 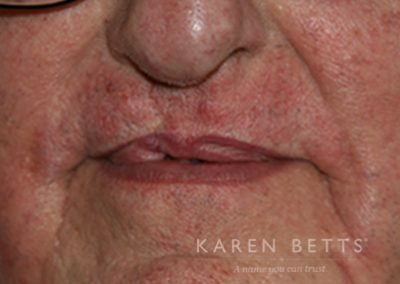 In restoring symmetry to your lips we will work with you to design a solution that meets your needs –you will see and be able to approve the final look before it is actually tattooed. 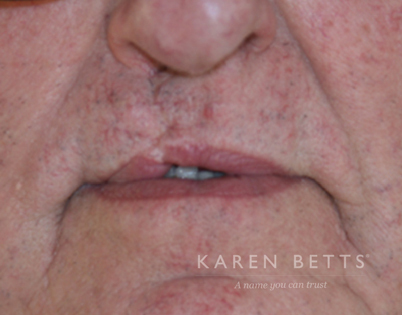 Prior to the treatment, you will have a personal medical consultation which will explore your medical history in detail. In order to ensure the correct outcome, we will need to understand what surgery or treatments you have had (or are planned for the future). We will then talk with you about your desired outcome from the treatment and what you want to achieve. Knowing this will help us to work with you, to develop a solution that meets your needs. In addition to that, we’ll naturally take into account other factors such as your personal style, skin tone and facial features. 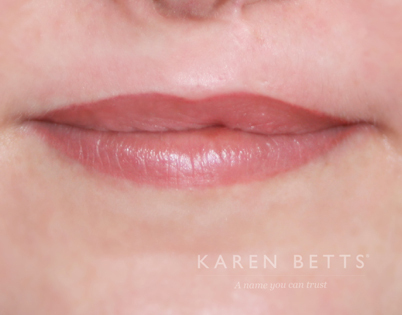 During the design phase we will put our make-up artist hat on and literally draw your new lips onto your skin. You will be fully involved in this process. We will be your guide, but you will be the one to approve exactly what everything looks like. Finally, we will work on your colours. Depending on how natural, subtle or strong you want the result, we will custom blend our colours to perfectly match your requirements. Again, you will be fully involved in this part of the process. Immediately after your treatment your lips will tend to look darker in appearance. However, this will soften in a few days, the colour will lighten considerably. You will need to follow a simple aftercare routine which involves basic care of the area and application of a gentle balm. After a few days the colour will gradually settle and increase in a pleasing intensity over the next few weeks.